Our success depends on your results, so we're getting better to help you become your best! Check out our latest site features, new app, recent content, reduced prices, and everything you need to surpass your fitness goals. We are Bodybuilding.com. We strive daily to become your best possible source for fitness information, motivation, and supplementation. We are driven by your results: your transformation, total pounds lost, or new PR. Your hard work motivates us to work harder—one more hour for one more rep. We use our strength to make you stronger. We're getting better to help you become your best. Read on to learn about our newly lowered prices, site features, best content, and everything you need to hit your goals! Thanks to our great relationships with the biggest brands in the industry, we're now receiving several top-selling products for less. We could use this as an opportunity to fatten our profits. Instead, we're excited to offer you these products at lower prices. That's because your transformation is our passion, not your wallet. Our new, free BodySpace app lets you build and track all your training sessions. Try a workout designed by one of our experts or a fellow BodySpace member. Someone hogging your machine? Add in a different exercise or change the order. View past workouts and your stats for each exercise. You can also mix up your workouts with new moves from our Exercise Database. 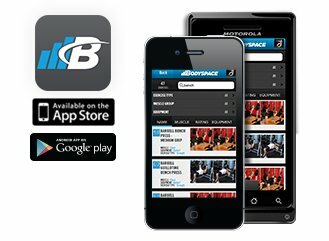 Shop Bodybuilding.com from within the app for all the supps, apparel, healthy foods, and accessories you need. These five articles have proven to be some of the year's most popular pieces. From how to build your own fat burner to a gladiator-worthy workout, these are the stories people have visited the most. The selection may surprise you, but the content will definitely help you hit your goals! Whatever your goal, one of these 7 mass-building shoulder workouts can help you achieve it! 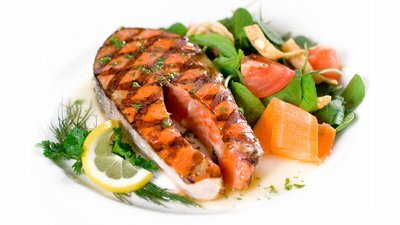 Pump up your protein intake, aisle by aisle, at the supermarket with Bodybuilding.com's top 40 ultimate protein picks! 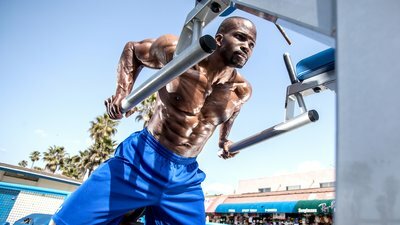 What is the best 5-day workout split? Our forum members share complete 5-day split training routines, how effective they are compared to a 3-day split, who would benefit, and more. Prepare for a muscular transformation unlike anything you've ever experienced. You'll lift and eat like a pro throughout 12 weeks of world-class training. You'll add strength, slap on size, and peel off fat in three innovative, interlocking phases. Success doesn't happen overnight. It is built day by day, rep by rep, habit by habit. Rise and Grind is a complete muscle-building training and nutrition plan, but it's also a blueprint for a better way of living. Build positive habits over six weeks, and reap their benefits for a lifetime! You want it all: a shredded, muscular physique; strength that can be expressed through explosive power; and a racecar engine under the hood. To get there, training the same old way won’t suffice. Ripped Remix is an intense 4-week training plan designed to help you master your body, shake up your workouts, and build strength. This program is your six-week journey to a stronger bench press, squat, and deadlift, but it’s also your ticket to increased muscle mass, total-body strength, and overall power. You’ll get four workouts per week split into three phases, a complete nutrition guide, a full supplement plan, and weekly videos. In the military, Charlie Mike means "continue mission." But you don't have to be in the military to understand the sentiment. I call this six week fitness plan Charlie Mike because it's your chance to create a mission—to build a strong body, a fierce spirit, and a better life. Whatever your goal, we've got your guide. Check out the full fitness plans we've released this year to kick your results into high gear. Each plan has instructional videos, daily workouts, a nutrition program, complete supplement guide, exclusive email inspiration, and much more! B-Elite Fuel is meal delivery for precision fitness nutrition. It's large portion of delicious, ultra-clean, training-friendly foods with the ideal mix of muscle-building macronutrients. Best of all, these convenient frozen entrees are delivered straight to your door. Say good-bye to hours of meal prep! Science meets innovation in the creation of Bodybuilding.com Platinum Series of supplements. This year, we introduced Ultimate Mass lean-mass gainer and Post Protocol, an advanced post-workout recovery matrix. Our two exclusive apparel lines—B-Elite and Core—have introduced new men's and women's collections for the gym and beyond. B-Elite continues to deliver activewear constructed from high-quality performance fabrics. Check out Core for sporty styles and bold graphics at killer prices. You've worked hard all year to improve your physique, and now is the time to reap the rewards with the BodySpace Spokesmodel Search. 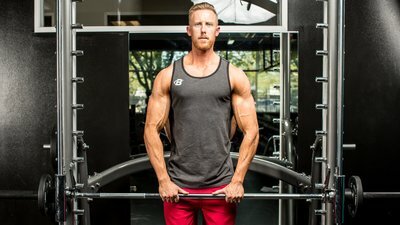 One male and one female will become the faces of the world's largest online fitness community, the newest TEAM Bodybuilding.com athletes, cover models on Iron Man Magazine, and more! We received thousands of votes, and now we’re down to the final 5 men and 5 women! We’ll welcome them here at Bodybuilding.com headquarters for a panel interview and photo and video shoots before jetting them off to the LA Fitness Expo in January, where they will compete onstage.